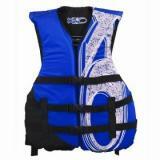 The Mustang Deluxe Inflatable PFD Life Jacket is a jacket that is quite ideal for all your water sport activities. The world over, tens of organizations continue to demonstrate their confidence in these products using them. 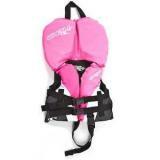 The life jacket can be comfortably worn by people of all ages and sizes who are from 16 years and above. Some of the salient features in this jacket include: its ability to be worn comfortably even in hot sunny weather, its lightweight capabilities and its bright spots that make it to be visible from a distance. Some other notable features in this jacket are listed below. Life jackets are crucial for saving lives while in water. It is therefore important that the life jacket that you have put on should be able to ensure your safety in the event that the worst happens. 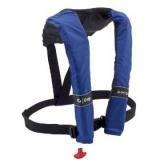 The Mustang Deluxe Inflatable PFD Life Jacket features a cord that can be pulled to inflate it. All you need to do is to pull the cord and the jacket would inflate itself. In the event that you get into contact with water, the jacket is also self-inflatable. This is critical when you have no time to start pulling the cord. 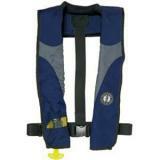 It is important that the life jacket that you put on should guarantee your safety when you are in the waters. With the Mustang Deluxe Inflatable PFD Life Jacket you can always be sure that your safety is guaranteed. The jacket is approved by the U.S Coast Guards. This should give you the confidence to know that the following procedures were adhered to in the making of the jacket: tests were conducted to find out the effectiveness of the best life jacket. Strict procedures were adhered to in the manufacturing process to ensure that the material used adhered to strict guidelines of the U.S Coast Guards. The Mustang Deluxe Inflatable PFD Life Jacket quite comfortable to put on. Regardless of your size, you can always be sure that the life jacket would always be fitting on you. The design of the jacket allows for mobility. It also allows you to comfortably engage in your activities in the hot sunny weather. Thus, as you engage in you water activities, you can be sure that the motion of your hands would not be constrained. 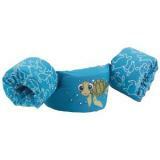 The soft neoprene neckline also rests comfortably on your neck and shoulders. The life jacket is also lightweight and thus you can engage in your activities without feeling as putting the jacket on is a burden. 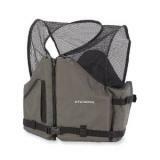 Other notable features of this life jacket are as follows: the life jacket has a back–up oral inflation tube and a reflective tape that ensures your visibility. The jacket also features a pocket for storing some of your things. It is, thus, imperative to ensure that when you are engaging in water sport activities, you need to put on a life jacket that can be reliable. The Mustang Deluxe Inflatable PFD Life Jacket is one such life jacket. How would you rate the "Mustang Deluxe Inflatable PFD Life Jacket Features"?